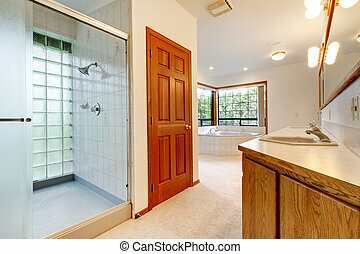 Bathroom with wood cabinet and tile shower. 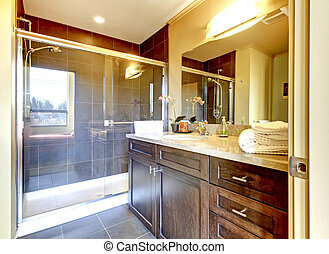 Bathroom with wood cabinet and tile shower with golden tone. 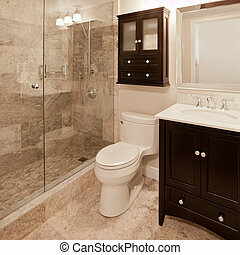 Bathroom With Wood Cabinet And Tile Shower. 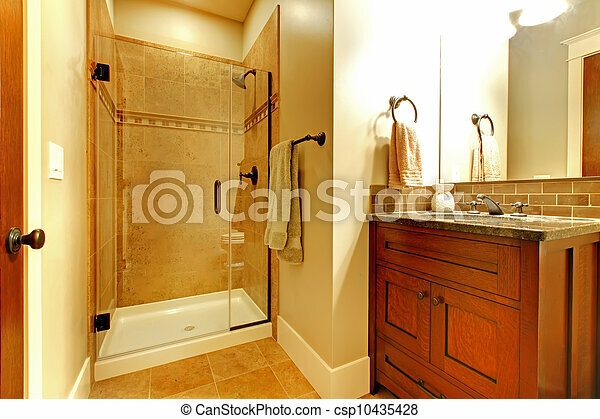 Bathroom with wood cabinet and tile shower with golden tone. 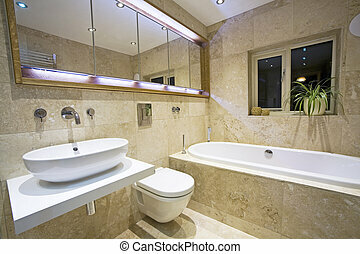 contemporary Luxury Bathroom with travertine tiles. 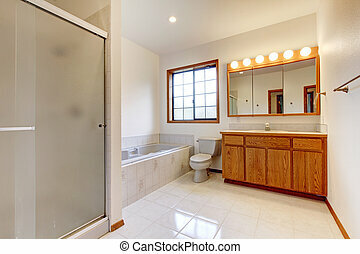 Modern new bathroom with wood cabinet and glass shower. 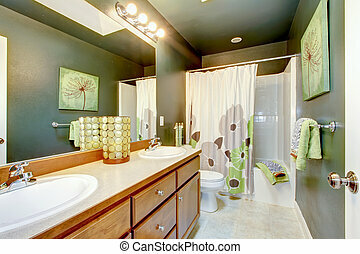 Green bathroom with wood cabinet and shower tub. 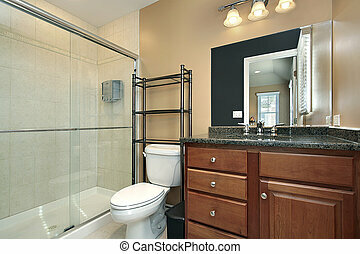 Bathroom with shower, dark wood cabinet, square tiles. 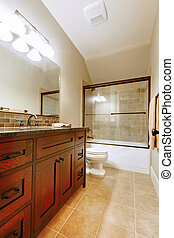 Nice bathroom with wood luxury cabinet and ceramic tile. 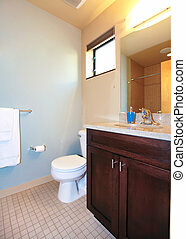 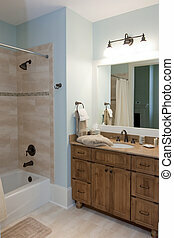 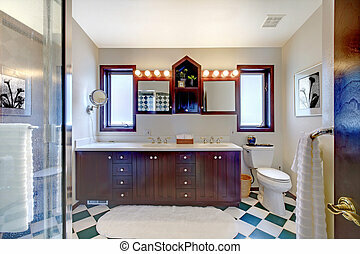 Nice small blue bathroom with wood cabinet and tile floor. 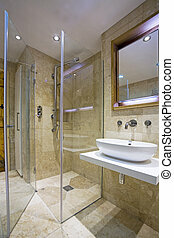 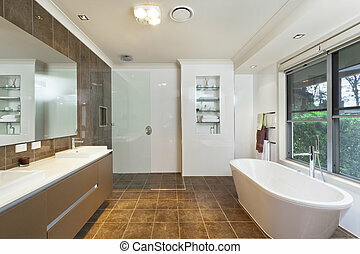 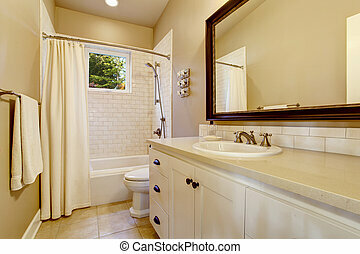 Large white bathroom with tub, shower, shiny tiles and wood cabinet. 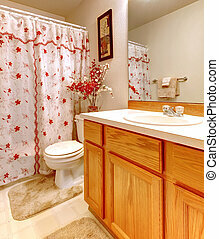 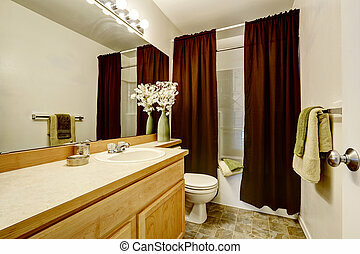 Simple bathroom with flowery shower curtain and wood cabinet and beige walls. 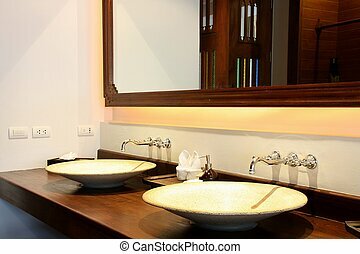 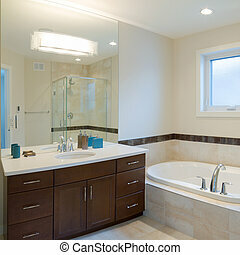 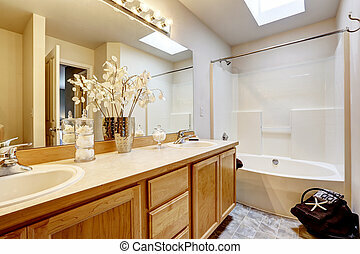 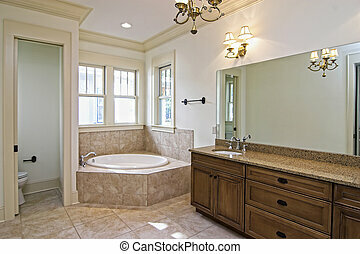 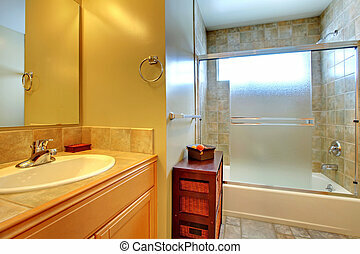 Bathroom with tub behind modern glass, stone tile, and white sink in a wood cabinet. 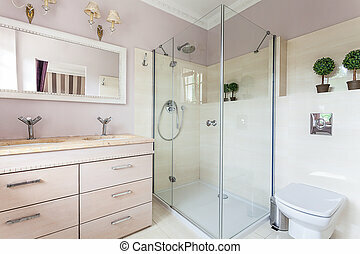 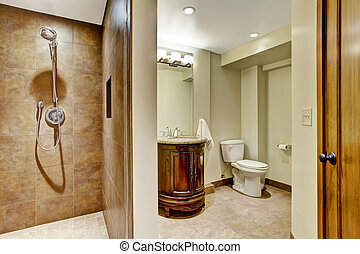 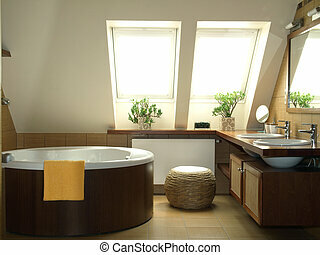 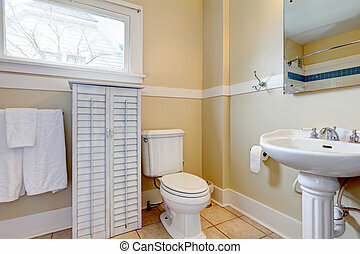 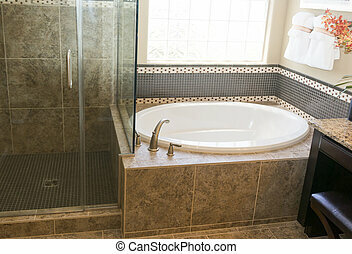 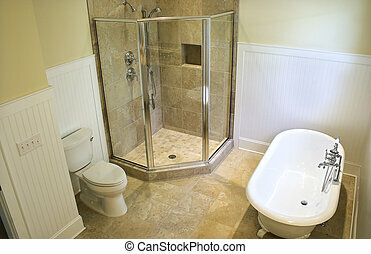 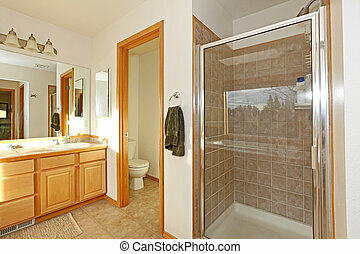 New home bathroom interior with shower and bath combination, wood cabinet and toilet. 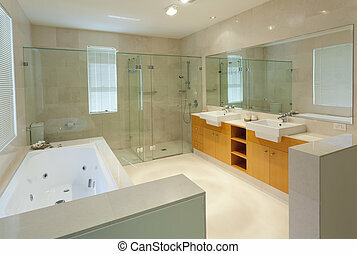 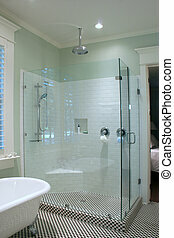 Light bathroom interior with white cabinet, shower with tile wall and tile floor.